Last week Mayor Goff had an idea that Light Rail should be free when it is running up Queen Street (once Light Rail gets to Queen Street). It can be read about here: Auckland mayor Phil Goff suggests free tram travel on Queen St. The idea is purely political and will do nothing to expand ridership or improve equity inside the City Centre or anywhere else in Auckland where 85% of the population is at any given time. However, using both Goff’s idea and the fact the City Link is only 50 cents I think we can expand of Goff’s idea to capture the entire City. Why don’t we make the entire City Centre and the Manukau Node (Westgate and Albany are not developed enough yet) free to travel via transit within them both? The City Centre is 385 hectares in size while Transform Manukau / #ourmanukau covers some 600 hectares so both are decent in size thus viable to take transit to get from one end of both Centres to the other. Both have very strong bus connections and an interchange onto other intra-city travel modes (heavy rail and Frequent Service Network busses like the 33 Great South Road, 380 Airporter, and the 70 City Centre to Botany). Both are also subject to high levels of intensification so having a decent, accessible and equitable transit system within them would boost local patronage and minimise the use of cars for intra-centre travel. So Mayor Goff lets make it free for both the City Centre and Manukau City Centre please. Paying $1.90 to go a few stops up the road, Papakura to Manurewa or Manurewa to Manukau (so no more that 5km at most) is in my opinion expensive especially when compared to longer distance trips and how those fares compare (Papakura to City Centre at ~32km at a price of $6.20). Essentially short trip Hoppers are cross subsidising long distance commuters. A 1-zone fare should be the same at the City Link: 50 cents. Why? Equity especially for those without a car. 50 cents for a short bus trip or a train ride to the next large station would encourage more patronage to our transit system thus leaving the car at home. Leaving the car at home means less localised congestion (the main source of all non-peak congestion) through our Centres. 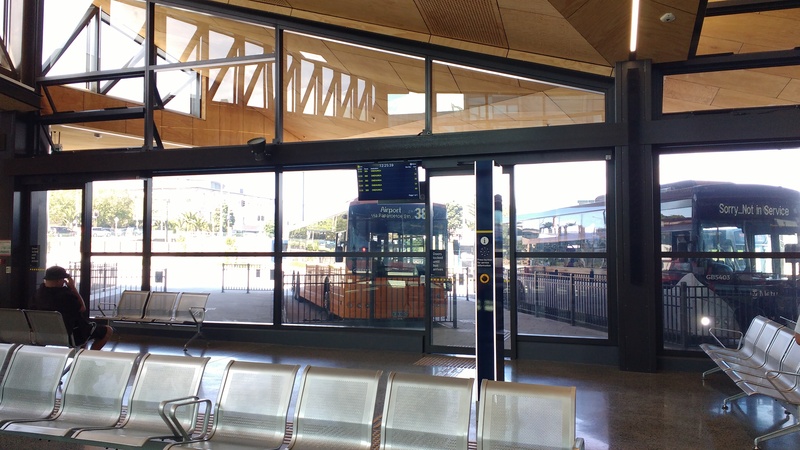 If Auckland Transport stepped up all the feeders to every 15 minutes the 50 cents fare would allow the feeders to do their job properly as well (given the feeders service local residential areas to local commercial areas and even the Metropolitan Centres which have major transport interchanges). In the end Goff had the right idea but wrong execution. Yes make transit free within the City Centre and Transform Manukau but also make all 1 Zone fares – for equity’s sake!